Sorry for the lack of posts folks, but with a one year-old going to day care, we get our share of bugs at home. Last week-end my wife was sick with what seemed like gastroenteritis. This week-end was my daughters turn, and now, having spent the day at home to take care of her until she can return to daycare, I'm now feeling under the weather myself. Hopefully, a good night rest, vitamins and some good old orange juice, I should be back shortly. Till then check these old posts and let me know what you think! The Drones have gone rogue in Episode 4! This week the team is back together, and Al puts his sobriety in danger by drinking every time Crovan screws up a segment intro. Will his liver survive? Find out in this week's Drone Bay Podcast! In the weekly recap, the team discusses the forum threads on the CSM, the fake RA titan deathmail, the state of the Great War, and more. In DON'T PANIC, Al gets walked through missions and mission rewards by the grizzled old vets. Crovan recommends The Kill Mission Survival Guide (works in game) for all budding (or experienced) mission runners out there. In the listener feedback section, Crovan answers a couple of ship setup questions, and each of the guys chooses one listener mail to discuss on air. Did yours make it? Listen to find out! This weekâs out of game discussion is replaced with a community focus, where the guys promote Morphisat's Blog, Shut Up, We're Talking, and Massively. Please, please keep giving us feedback. We canât get to everything every week, but we do appreciate the input and questions. If youâre interested in voice mailing us, please try the mp3 or wav file in an e-mail method for now while I try to get Skype sorted again. Well, tonight ends a 4-day week-end for me. Officially I was working from home on Friday and took the day off today since our little one's daycare was closed. What actually ended-up happening was me working part time on both days! Game wise, I did some missions on two of the last 4 nights, having returned to Khanid Prime late last week. Not much else. Otherwise the guys and I have just recorded episode 4 of The Drone Bay podcast (the 5th one) and it should be out by end of week. On that, I still have a few things to do for work, so this will short and sweet. ...is crucial to enjoying the game. Of all current MMORPGs, EVE Online has got to have the steepest learning curve ever conceived. Having said that, there is a way to help new players into the game. There is ONE way to ensure that new players stick through the difficult periods of the game when you don't have a good grasp on everything, but you've got enough to glimpse at what's on the other side. If there, one crucial step for every EVE Online player, it would be, without a doubt, finding the right corporation. And that statement carries with it a lot of consequences. The right corporation for you, will allow you to grow as a players the way you intend. The right corporation will allow you to play EVE like you always thought it should be played. As we've mentioned numerous times on The Drone Bay, the right corporation will determine how much you enjoy the game. And that corporation, that group of players exists out there. They're looking for you as we speak; as you search for them. But how do you find them? Here follows a set of instructions that should help you find the corporation that's right for you. The steps described below will guide you through this process, in order for you to find like-minded people, with whom you'll enjoy the EVE sand box. 1) Before you even start to look for a corporation, you'll have to ask your self what you want to do in EVE. Do you want to fight with other players? Do you want to trade with other players to gain new riches? Do you want to spend time harvesting the minerals needed to build items in demand? Or maybe you'll want to partake in the trading? Whatever it is, make sure you know what your goals are. They'll determine what you'll end up doing. So take the time to write down your personal goals, so that you'll know what to look for. Through the EVE Forums, under Alliance and Corporation Recruitment Center. You can find corporations here, but also feel free to open a thread to advertise yourself: Let corporations come to you. Let them know exactly what you're looking for: PVP, Carebear, Mining, Trading, or whatever you're looking to do. Another great way to look for corporation is through a site called EVE Careers. Here, both players and corporations register and use the service to match-up. If you haven't found the corporation on the EVE Forum, this is a great way to find one. Finally, there's the in-game solution. Within the EVE Neocom (that's the icon bar on the left top-to-bottom) under the Corporation tab is a way to find corporations. You can look within regions, for corps in Alliances or not, with Skill Points or not, etc (see the below screenshot). 3) Now that you've found a couple of corporation you're interested in, how do you select the one for you? I've always stated that a great corporation, no matter what it does (PVP, Industrial, Mining, Trading), is first and foremost a group of dedicated player. And one of the most obvious displays of this is an active corp website. Whether it's a forum or a full fledged website (a la Phoenix Labs) if it's well done, then at least you know you're amongst hard working capsuleers. If you want to see a list of such corporation, check out the list I keep here. The same goes for Alliances. 4) So what do you look for? I'd say look for corps that have a mission statement, or goals - just as you would in RL (real Life). Are these the same, or similar, to what you're looking to do in the long run? If so, you're almost there. 5) Most corporations have a recruitment process before you submit your application. Either on the website, in-game, or through a public channel. At Phoenix Labs we use our shopping channel, SHOP@PPL, to meet the future recruits. Before you submit your application, make sure you've read all the corporation's info. You'll most likely be asked about it by the HR Director - again, just as in RL. Now is time to pull out that list you made earlier, the one about your own personal goals, and what YOU are looking for in a corp, because you'll have a chance to let HR know what you're looking to do. Now you're ready for the interview. If there isn't an interview process, that's a WARNING sign. A good corp will want to weed out the bad apples BEFORE they're put into the basket. If it does not, I'd stay away! 6) Now it's time to apply, go through the interview process and make your decision. Applying for a EVE corporation is a two-way street. It's as much about you being picked by a corp, as you picking the corp. Choose wisely! 7) Ok, so you've made it. You've found your corporation. You're now amongst friends, ready to face the harshness of space, ready to back-up your corp mates at any moment. This is a new begin. This is the way EVE was made to be enjoyed. Have fun! If you want to listen to the podcast version of this tutorial, head over to VirginWorlds and listen to our podcast, The Drone Bay Episode #2. And please, as always let me know your thoughts! Going through my screenshots today, I realized that I had been keeping shots of the log in ads - you know, the ads you see when you're about to log into EVE and which only display once. Well, I've been taking screenshots of these and today created a Flickr set to easily view them. And with the Picnik editing tool, I was able to crop just the ads. So head over to my set to see them all. Or at least to see the ones I was able to capture! Well as I start to put together this week's list of links, I've just docked into Phoenix Labs Home station in Khanid Prime. Seems that our ops in Nuken is coming to a close. During my absence on the other side of the pond, the orders were given to move back to KP. Khanid Kingdom has been home to PPL for so long it's hard to imagine leaving for too long. Anyways, back to this week's news and links. It's a long one this week, so grab yourself a coffee and start reading! Beastoria strikes again? 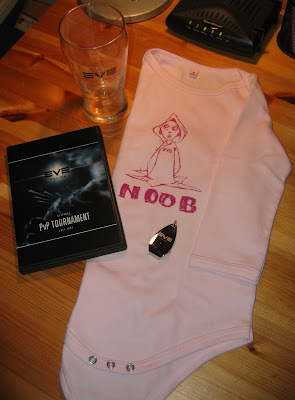 - EVE runs skin deep for this dedicated gamers! Eve Avatars - Animated Forum Avatars - as mentioned below, get yours quickly! Your favourite ship in Eve - So what's your pick? Elections for EVE's player council begin in May - The CSM becomes a reality, well almost. What Can Virtual-World Economists Tell Us about Real-World Economies? - Scientific American covers EVE Economics! The Seven Month Itch - Keeping your EVE Mojo up! The Amalgamated CSM Thread - Omber Zombie's list of all CSM EVE Forum threads! As I said before, a busy week. Losts of news on the Council of Stellar Management this week, a result of CCP making the annoucement that the Call for Candidates was now open. MMO history in the making folks. We live in interesting times I tell ya! Ok, now it's time to undock and pay a visit to a couple of pirates! Fly safe folks! I recently got contacted by a fellow EVE player Copter Pilot, who runs a nice little business animating our EVE Online character portrait. I must say I was surprised at the quality of the work and the results. It's almost freaky! Check out Treenara animated expression in the sidebar. If you're interested in seeing a great example of his work, head to over to The Stoned Hippies Corp and you'll see a flash animation with voice over - very impressive. Looking to get your avatar animated? Head over to EVE Avatars and get yours done. Copter "charge[s] 20 million isk to capture and animate a player's portrait and return to him an avatar package consisting a single animation in 4 default sizes: 125x125, 100x100, 85x85, and 65x65 to use as forum avatars on all their favorite forums." It's a great way to add some fun to that static character portrait. In my travels to the other side of the pond, I missed the recording of this week's Drone Bay episode. Nevertheless, the guys rallyed and dispite my absence pulled together to produce a great show. The intro is particularly good, and I look forward to doing one like it for the next. I don't have the notes for the show yet; Crovan resting at the moment I write this. In the mean time, head over to VirginWorlds and start listenning to another great EVE podcast! My visit to London provided me with an opportunity to meet in person a chap I've known "virtually" for some time now, but whom I had not had the chance to meet in person. None other than Zapatero, EON's editor. 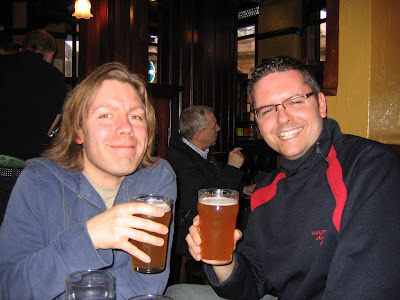 Well, yesterday we had the chance to share a few pints, talk about EVE, EON, fan fest, life in the UK and much more. It was a lot of fun, and let me tell that the guy is as friendly and well humored as comes across in the EON editorials. Here's to sharing a few more pints Zapatero. And this time it'll be in Reykjavik for the fan fest. See you in November! As I write this, I'm sitting in hotel room in London UK, at the end of a 3-day tradeshow. I left home Tuesday night and so missed the long downtime consequence of the Trinity 1.1 patch. Then again, I'm experience an even longer downtime myself, as I'll only be able to log back into EVE next Monday evening (I've been have trouble installing EVE on this work laptop for some reason, but that's another story). So in getting ready for this 6 day trip, I installed Homeworld 2 on Tuesday and started replaying the game. I mainly did this so that I could pass the time on the 6 hour flight to Europe. For some reason, unless I'm truly exhausted, I can never sleep during a flight - even a 6 hour long flight. Anyway, since I never finished the game when it came out, I plan on doing so this time. 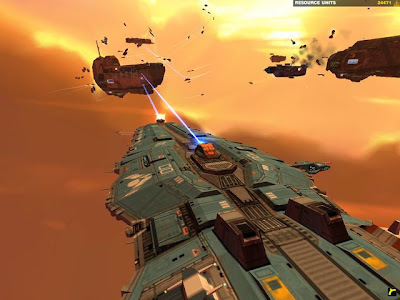 The original Homeworld was a blast and as I've said before my favorite game of all time - after EVE of course! Let's give the (true) sequel a chance. As for the blog, this kind of explains why I haven't posted over the last 3 days. Tradeshows mean long day, short nights and no time for gaming or posting. I'm staying over for the week-end and will have a chance to play tourist over the next two days. The return flight is on Monday afternoon, which means that I'll be able to give EVE a little run come that evening; once I've patched to 1.1 of course. You should have the speedlinking links tomorrow morning since I've had a chance to go through the 600 or so posts on my Google Reader and my alerts. Until then, I'd love to know what game(s) you play when not playing EVE. I've just logged off our Sunday night recording of the Drone Bay podcast. We've got another great show on the way, with lots of great content, good conversations and interesting topics. Crovan will be editing the show in the next few days, and then it should be out over at the VirginWorlds Podcast collective. Speaking of which, I'd like to thank our podcast sponsors, all for of them. They are: haulboss, RigaMortis, Dathmar and StErroneous. Thank you very much for the sponsorship. All three of us, Crovan, Alsedrech and myself, want to let you know that we appreciate the funding very much - and so does Brent I'm sure. You're helping ensure that we continue working on more great podcasts. This week we cover finding a corporation and corporation recruitment, suicide ganking, listener mail, tribute to Gary Gygax and much more. So be on the look out for when it comes out in the next few days! Wow, another week gone by. Another tourney week-end where alliance get a chance to tear each other to pieces. A week to remember also, as we say goodbye to a dear friend we never knew personally, but who's actions so many years ago shaped at the very least our hobbies for most of us, if not our entire lives for some of us. This week, Crovan, Alsedrech and I released episode 1 of our Drone Bay podcast. And I'm happy to say the response so far for the first two shows has been very positive. Which bods well for the future. So here are this weeks links. 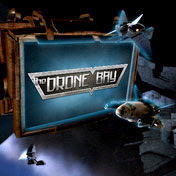 Our very own Drone Bay podcast gets pimped over at Massively - thanks Mike! For those who are about, or who just have listened to the Drone Bay Podcast #1, here are my notes for the EVE Economy segment which I covered during the show. All this information was taken mostly from the first Econ Dev Blog. I highly encourage you to read up on the QEN and other Dev Blog, they are very captivating. The "first official" episode of our EVE Online podcast is now out - considering that last week's episode was a pilot. This week, we've covered the Fifth Alliance Tournament, Character Creation, Listeners' Mail, EVE's Economy 101 and then we diverge onto other subjects. As usual we appreciate your feedback, both on content and form. As for speaking skills, I'm still working on eliminating those darn "verbal pauses". A work in progress, for which I appreciate your patience. Working with Alsedrech and Crovan, has proven both a curse (cause I'll get compared) and a blessing (cause they'll help me improve). These guys are top notch, I'm sure you'll agree. As with every show past and future, we appreciate a little bump on the EVE forums. Both links to our VirginWorlds and EVE Forums are available above. I've just learned that Gary Gygax, Father of Dungeons & Dragons, has just past away. The gaming world owes so much to this one figure, there's no way to properly define it all - Dungeons & Dreamers will give you a hint. I spent so many hours in D&D books as a teenager, none of which would have been possible without this man. There are two figures who stood out for me during my teenage years, and now, with Gary Gygax passage, both are gone. The other was Isaac Asimov, Father of the Three Laws of Robotics and prolific science fiction and science writer. I'm saddened to see him go, but I know that his legacy will stay with us for years to come. Go in peace, and fly safe dear old friend.